The consequences of a cable break for heavy industries are costly both in terms of lost productivity and downtime. 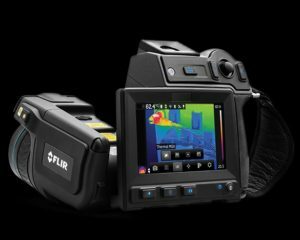 So, for the German cable repair specialist Becker and Hüser, its focus is to get its customers back in business in the shortest amount of time and Flir thermal imaging is playing a vital role in helping to pinpoint the exact location of the problem. Repairing a cable is often the most time efficient option if a replacement is not held in stock, as waiting for the supply of a new cable can sometimes take months. The company can repair a cable in a matter of days and sometimes even hours. The process involves the connection of an enormous tangle of fibres which is both a meticulous and time-consuming task. The post Pinpointing cable faults with thermal imaging appeared first on EE Publishers.